The online holiday shopping season has already begun according to the IRI Holiday Forecast. With only a month and a half until Christmas, and less than three weeks until Black Friday, most people have already started their holiday shopping, so you should be busy with holiday promotions for your business. Consider the predicted 2009 shopping trends when planning your promotions and you’ll be able to create more effective marketing campaigns. For example, shoppers this holiday season are anxious to take advantage of discounts, so look for items or services that you can afford to offer steep discounts on and promote them heavily. Many shoppers report that they plan to be more frugal with their shopping this year and you can cater to these customers by offering free shipping or featuring a special deals section within your store or website. Another trend is “back to basics” which has been beneficial to the craft and sewing market. Take advantage by offering free classes that teach customers how to make homemade gifts using your products, or focus on offering practical, budget-minded gifts. Social shopping is rapidly becoming more popular with many mainstream companies promoting their products on Twitter and Facebook. If you haven’t already, you should consider creating accounts and get started on growing a member base of fans that will love to hear about your promotions. Don’t forget Cyber Monday if you have a website, Etsy store, or some type of online presence. Shop.org reports that Mondays in December 2008 were the highest grossing online sale days of the season for many retailers, with December 1st (Cyber Monday) being the highest grossing day for half of the retailers surveyed. This year Cyber Monday falls on November 30th – make sure you’ve got some great deals ready on your site! Promoting your business is the key to its success! If you don’t promote your business, how will you find new customers and help the business to grow? Here are some easy steps to help you promote your sewing business. Every business should have business cards and flyers. It doesn’t matter if you run your business from home or from a studio or retail space somewhere, you need to have some cards handy to give people whenever the opportunity arises to talk about your business. Keep plenty on hand in case you’re able to post some on community bulletin boards in local grocery stores, or perhaps your favorite fabric store will allow you to leave a few near the register or cutting table. You can print some yourself on pre-scored business card paper from the office supply store, or you can have some printed for free at Vista Print. While you’re at it, be sure to create some flyers that give more information about your products and/or services, as well as any specials you may be running. Give them to current customers and ask them to help spread the word. Check out the advertising prices in your local newspaper(s). You may not be able to afford a display ad right away, but try running a classified ad in the “services” section. This is an inexpensive way to reach your local market, but you could also place some free listings under your local area at CraigsList.org. If you don’t already have a web presence, then there is no time like now to get one started. Reliable hosting can be found for as little as $4.95 per month at GoDaddy or LunarPages, and both services can even help you to get a site designed and online in less than 24 hours if you’d like. With the relatively low cost, and ease of getting a site setup, there really is no excuse NOT to have one. You might think that a website doesn’t apply to a local business, but most people get online these days, and even if you only acquire one customer a month from the site it will pay for itself. 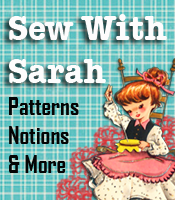 Look for sewing forums and other online communities where you can contribute your expertise. By making relevant posts at other websites, you will establish yourself as an authority, and you can provide links back to your website with each post or comment that you make. There are also niche pay-per-click engines, like SewVillage.com, where you can list your site and bid for higher placement in the search results pages if you want. You can even get started for free because they give you $20 in your account just for signing up! How can you beat a deal like that? The best kind of advertising out there is word of mouth since most people tend to take the advice of their friends and loved one’s first, before they seek out other alternatives. Join a local sewing club, volunteer to make costumes for a play at your child’s school, or offer to teach some neighborhood kids to sew. Getting involved helps you to put your business out there in a positive way and can help you get some buzz started! How Important Is Your Headline?